In Florida states, there are many parks and wildlife area to visit but Everglades And Francis S. Taylor wildlife management area are one of its kind. No tour to Florida states ends without visiting Everglades. You can explore it by bicycle, by boats, and by foot:). Experience remarkable natural views and enjoy fishing, hunting, hiking and bicycling. 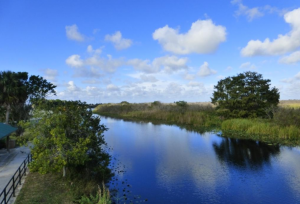 Expand your wildlife experience by camping in Everglades And Francis S. Taylor wildlife management area. So many birds all in one place! Great photo opportunities with snowy egrets, herons, wood storks, anhingas, kingfishers, and many more! I saw a great big gator hiding in the grass too! My Dad wanted to come back again and again! Wow! Visiting the Everglades has been on my bucket list for some time. It did not disappoint. Once you get out in the middle and just sit, the surrounding nature is beautiful and serene. Gorgeous views, interesting wildlife and a great guide made for an amazing visit. Really great experience and the greatest thing is that the photos you take are all included in your ticket price.Saw iguanas, crocks, birds, alligators.The great Tour guide we really enjoyed it!! The show after was really awesome too!! Fun. Got to see one alligator. It is cooler right now so not a lot of alligators to see. Captin Alex was a hoot! He was able to find an alligator on his tour. The only thing negative to say id wished the tour was longer. Overall a different experience and fun on the boat! Got to hold a baby alligator which is included with the boat ride. Super tour of the Everglades. The Airboat pilot was friendly, knowledgeable, and a skilled driver. He also is exceptionally good with the Wild Life!